Is the Flexi Pass for Vienna worth it? 2.) The Price Comparison shows you the possible savings for a sightseeing proposal with 3, 4 or 5 attractions compared to the on-site prices. With the help of the suggested attractions you will see where you can achieve the biggest savings and how high the savings may be. 3.) The Brief Description and Conclusion summarizes the advantages and disadvantages and highlights the main differences to the other city cards. This way you can simply decide whether the Flexi Pass Vienna is the optimal solution for you and thus avoid bad experiences. ¹)	The Vienna City Card in this review includes the 24h hop-on hop-off bus tour (Big Bus) add-on option. 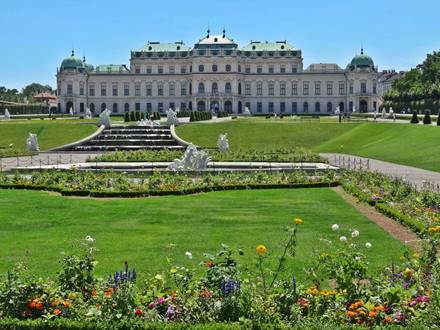 ²) With the Vienna Pass you may use the included hop-on hop-off bus tour for the whole period of validity, up to 6 days. ³) There is no free entrance to sights and attractions with the City Card. You just receive a discount on the entrance fee on-site. ⁴) Within the period of 24, 48 or 72 hours you may use all the public transportation in Vienna. The attractions discounts are valid within 7 days. With the Flexi Pass you have to choose the number of attractions and not the validity period, as it is usual with other sightseeing passes. Every variant of the Flexi Pass is valid for 30 days from the time of activation. Depending on the variant, you can visit 3, 4 or 5 attractions. Thus, it is a kind of flexible combination ticket, where you can choose from around 30 attractions. Among those is a 24 hours ticket for a hop-on hop-off bus tour with a free guided city walk. A perfect way to get a good overview of the highlights in Vienna. In addition, you will receive an attractive price advantage with the combination of the hop-on hop-off bus tour and the available attractions. Unfortunately you will not find the Schönbrunn Palace and the Hofburg combination ticket (with the Silberkammer, the Sisi museum and the Imperial Apartments) in the selectable sights. Price Tip! The Flexi Pass Vienna offers an attractive price advantage for the combination of a hop-on hop-off bus tour together with the available attractions. You get a flexible combo ticket for up to 5 attractions. The Schönbrunn Palace and the Hofburg can only be admired from the outside at the hop-on hop-off bus tour. If you would like to see those sights from the inside, the Vienna Pass should be an interesting alternative. More information about it can be found at the city card review.